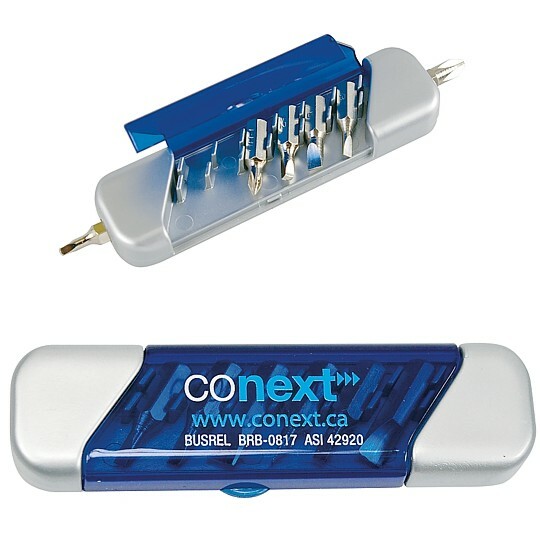 Removable screwdriver heads in silver and blue translucent plastic case. Includes 6 hardened steel bits (2 Phillips star, 2 flat slotted, 2 Robertson square). Bits snap into magnetic side holder. Box dimensions: 19" x 14" x 5".